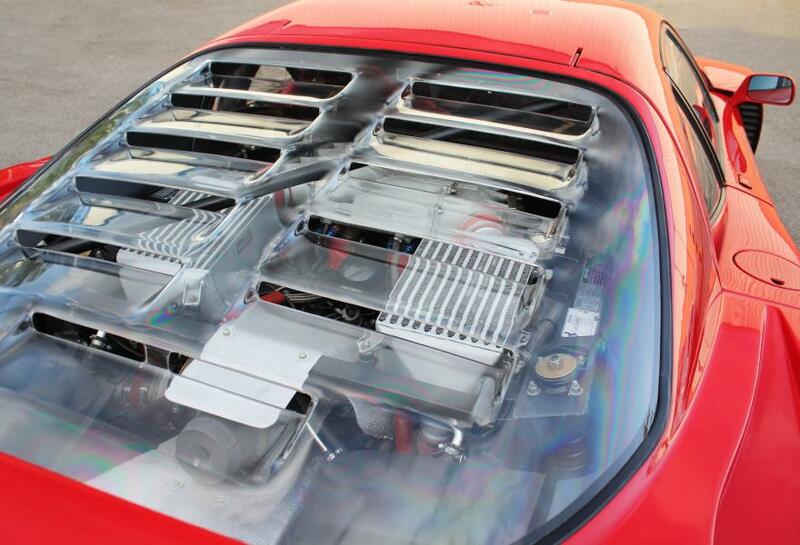 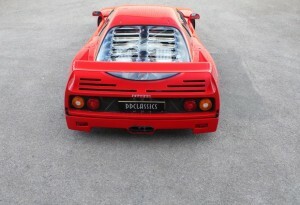 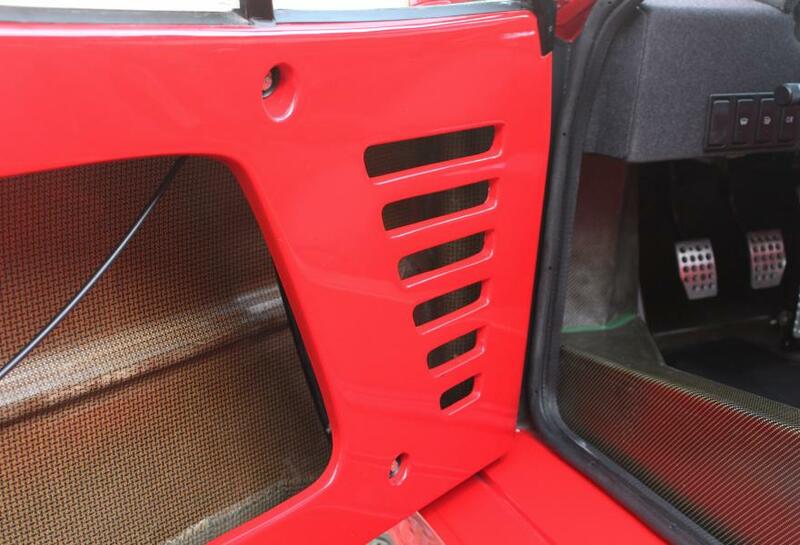 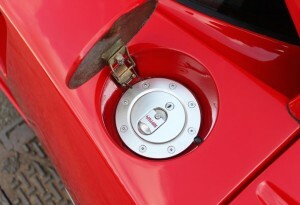 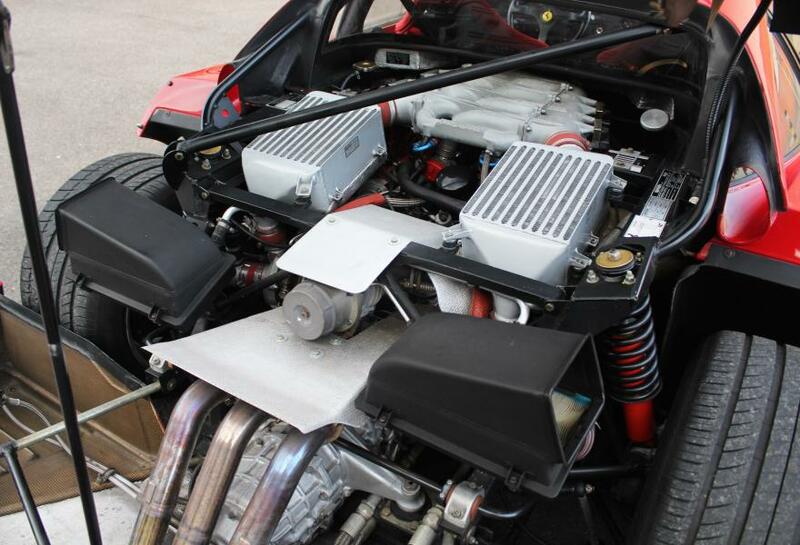 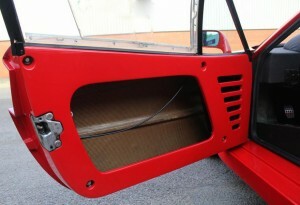 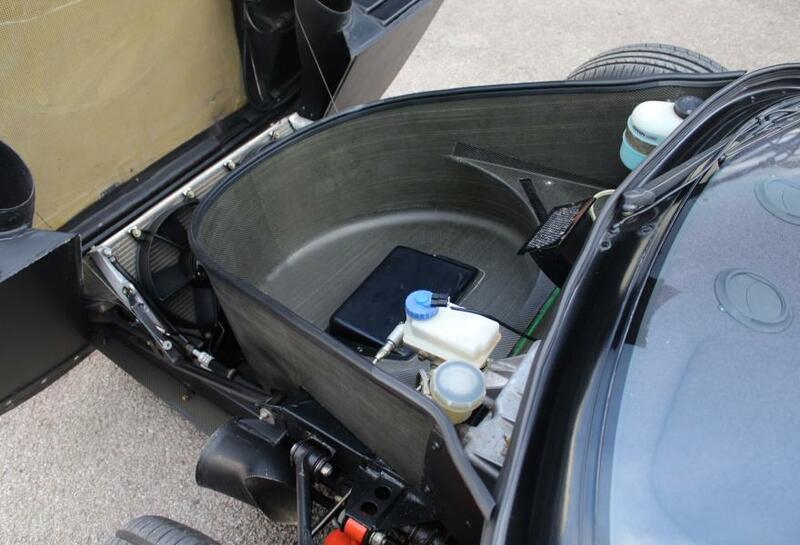 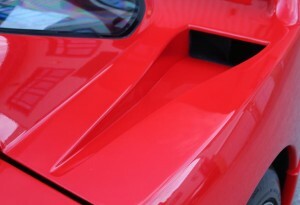 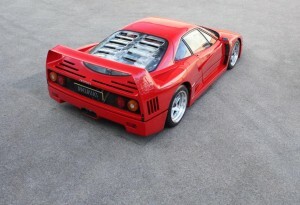 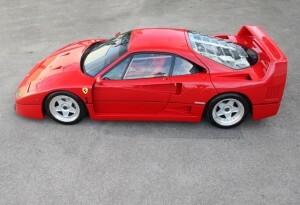 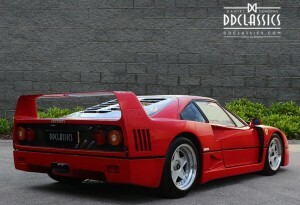 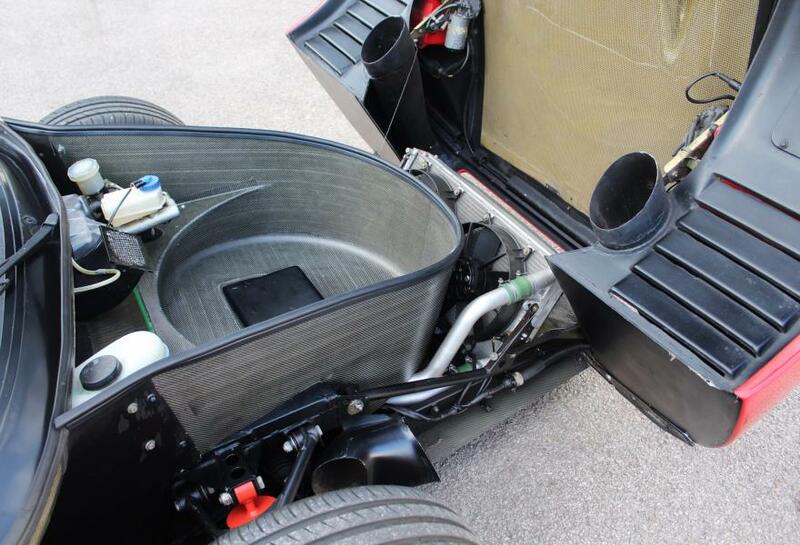 Pioneering the use of carbon fibre, the F40 weighed just 1,088 kilos. 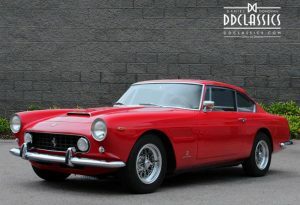 Its Pininfarina-designed bodywork, penned by Leonardo Fioravanti, was designed with aerodynamics in mind and provided incredible high-speed stability while channelling sufficient airflow to cool the mid-mounted engine. 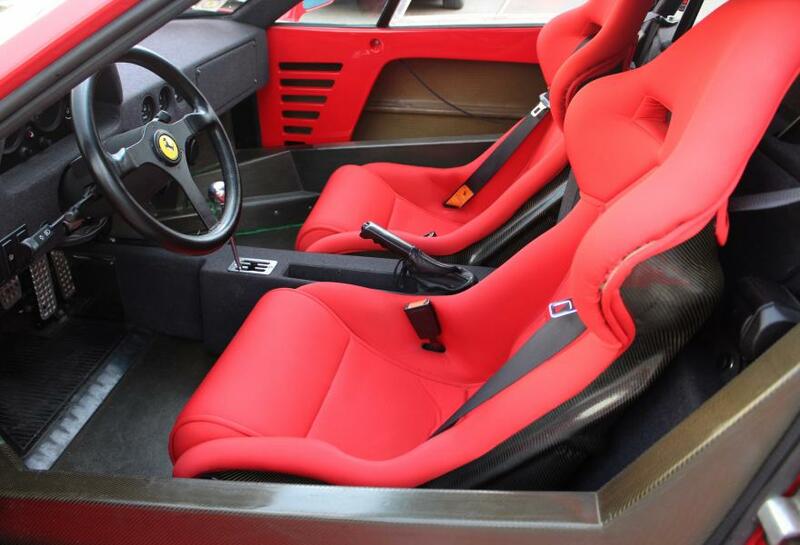 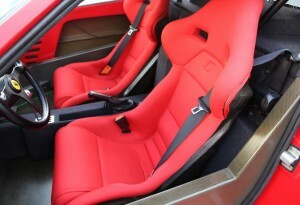 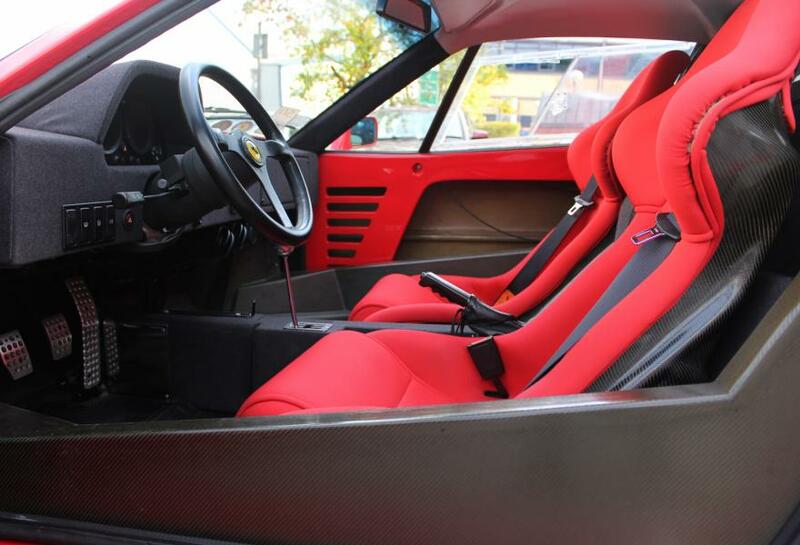 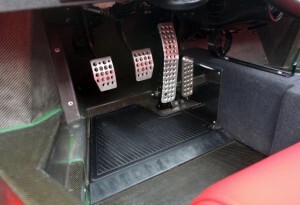 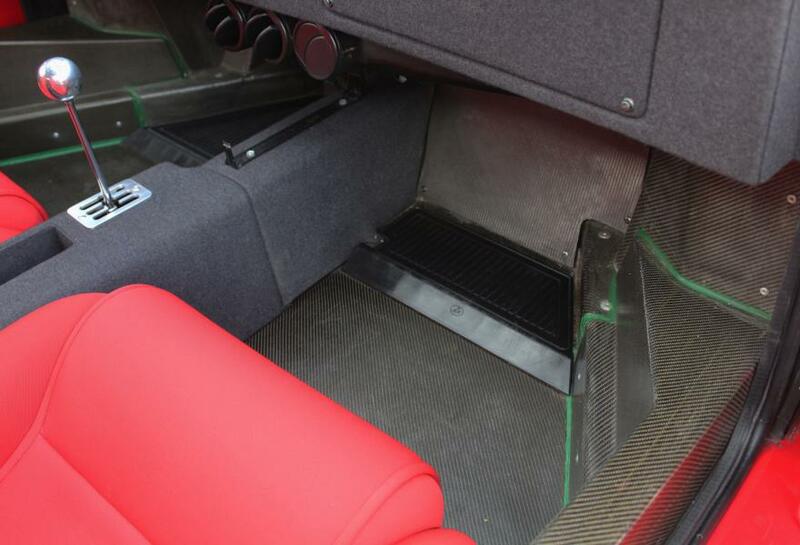 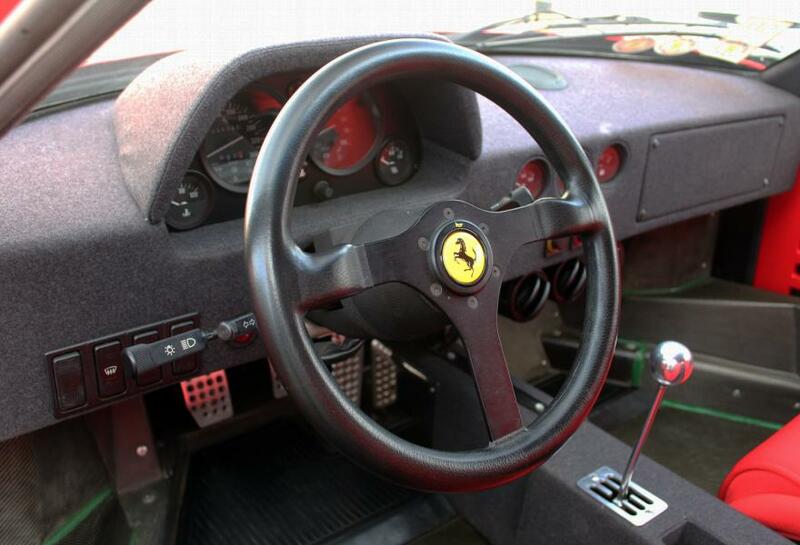 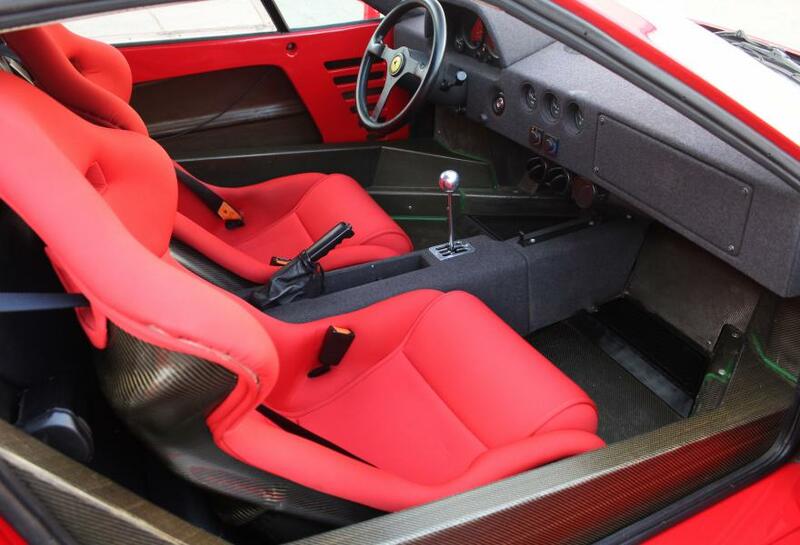 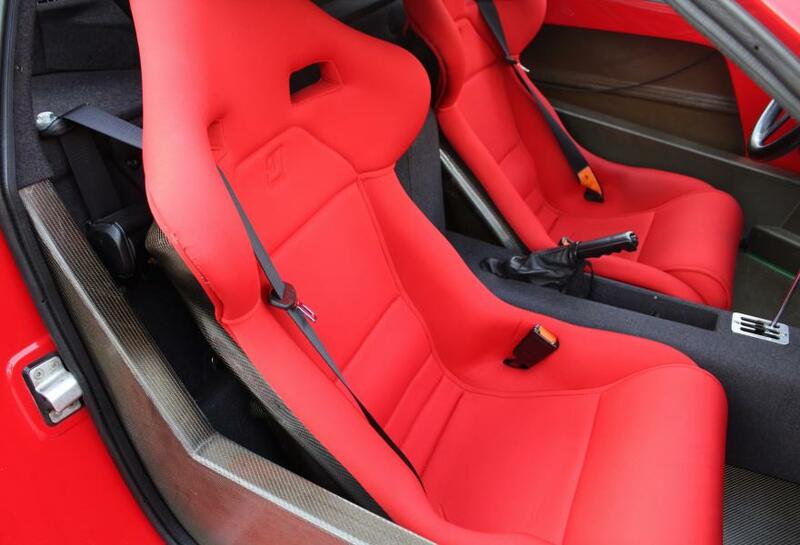 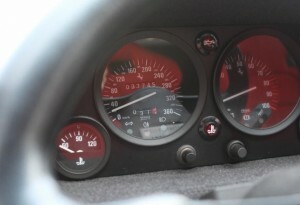 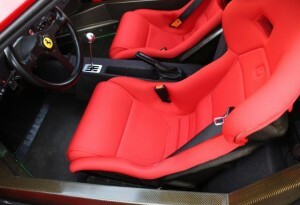 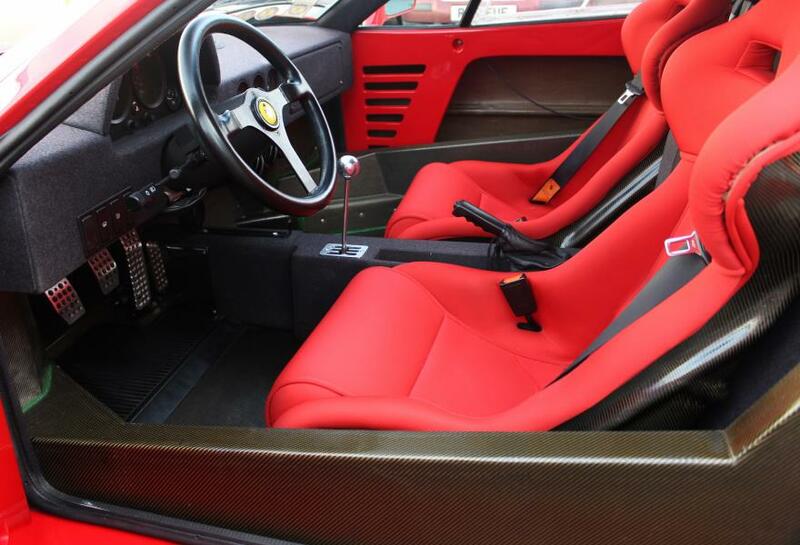 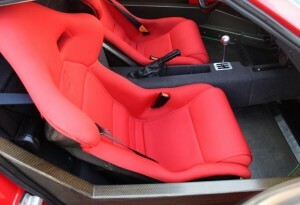 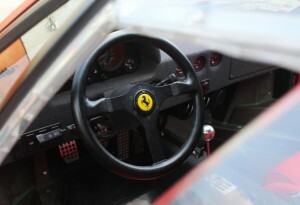 Inside, the F40 offered the most spartan of interiors. 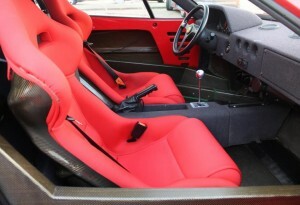 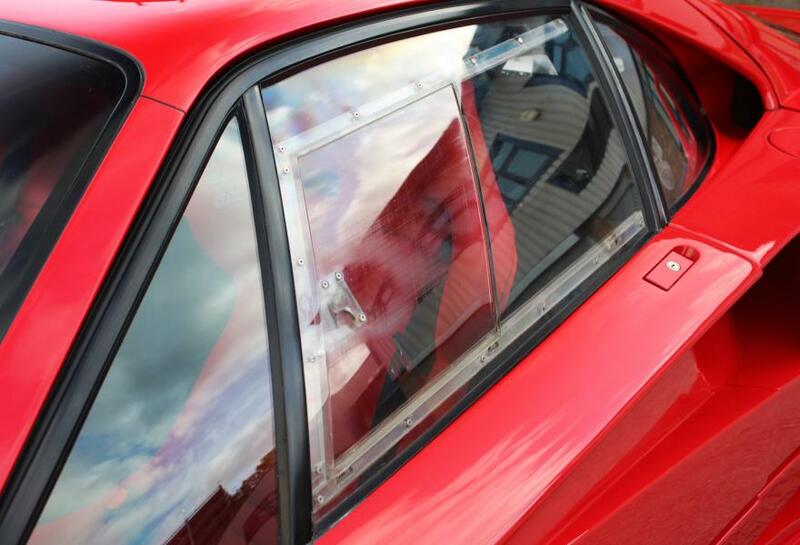 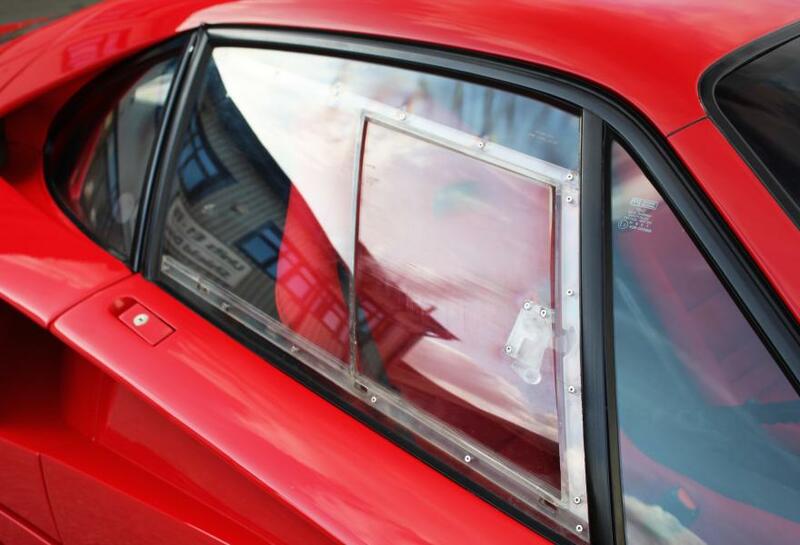 The F40 was delivered with lightweight bucket seats, no carpets, door pulls instead of door handles and the option of either wind up glass or, as with the car offered here, the more collectable lightweight perspex sliding windows. The car offers no apologies for its lack of accommodations, but this will hardly bother the committed enthusiast who is given the chance to pilot such a legendary automobile. 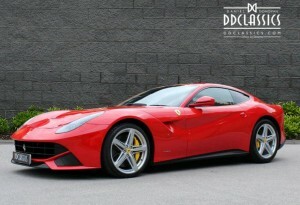 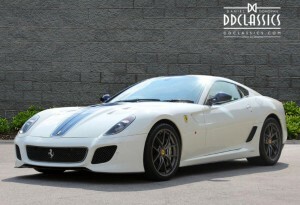 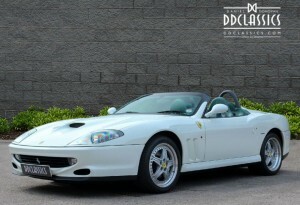 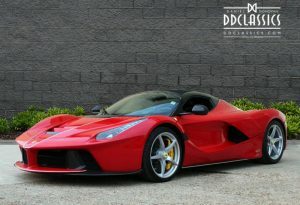 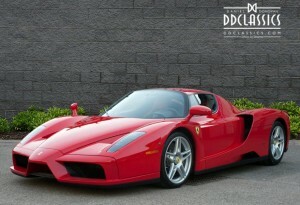 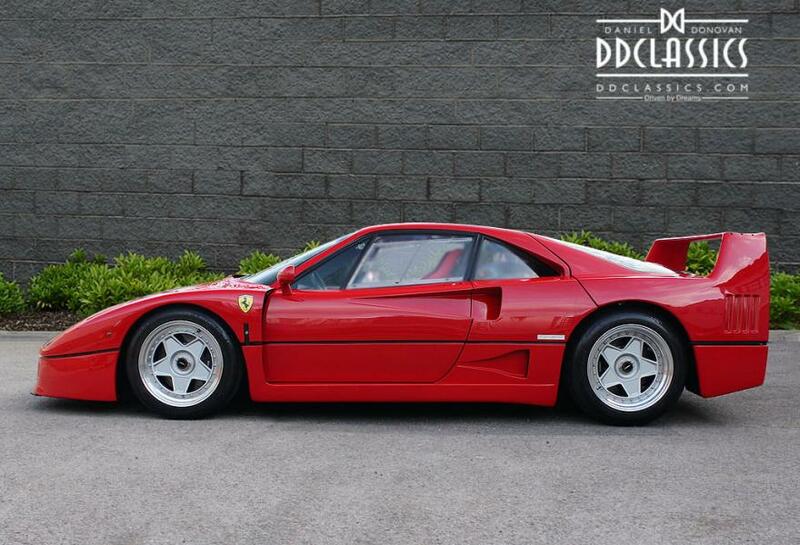 The car offered for sale, is a superb example of the vaunted supercar. 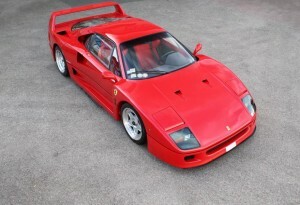 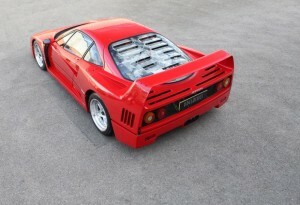 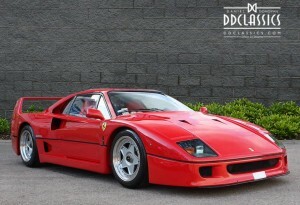 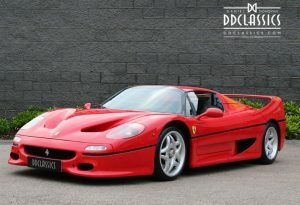 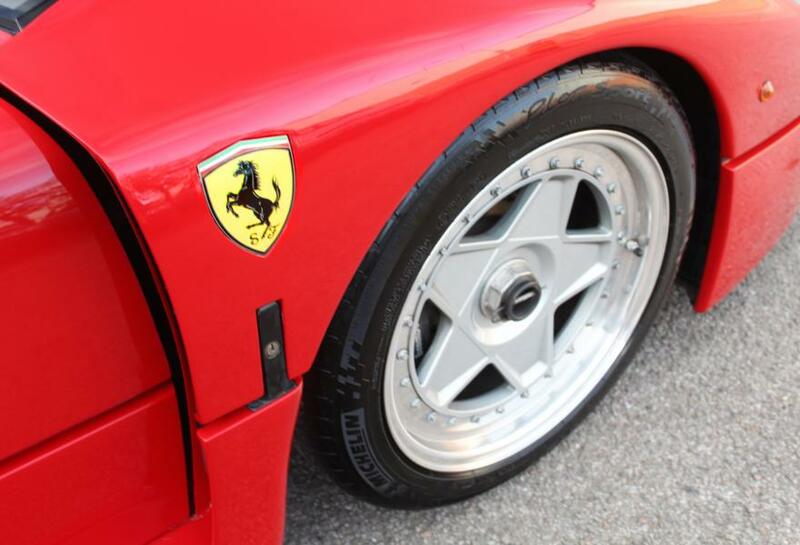 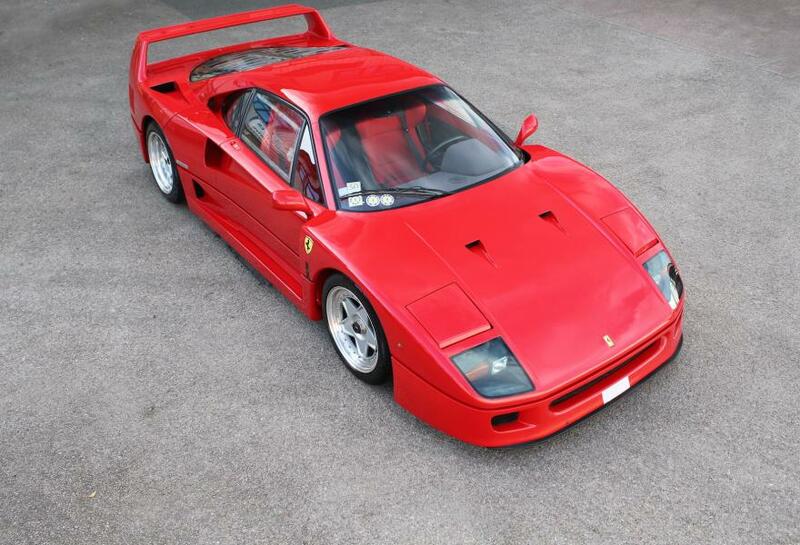 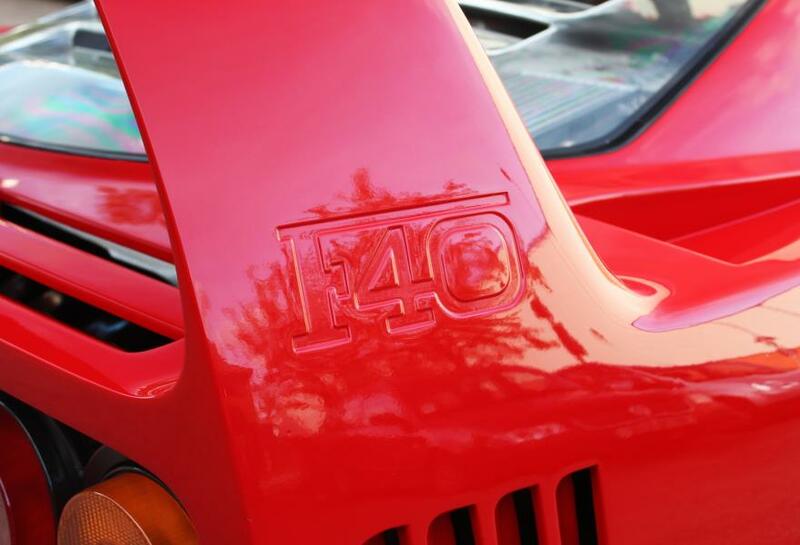 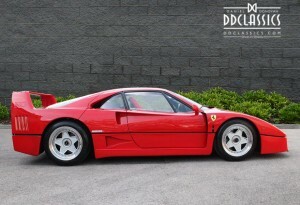 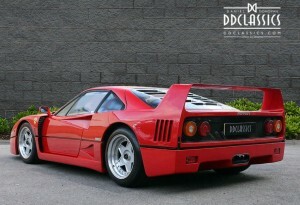 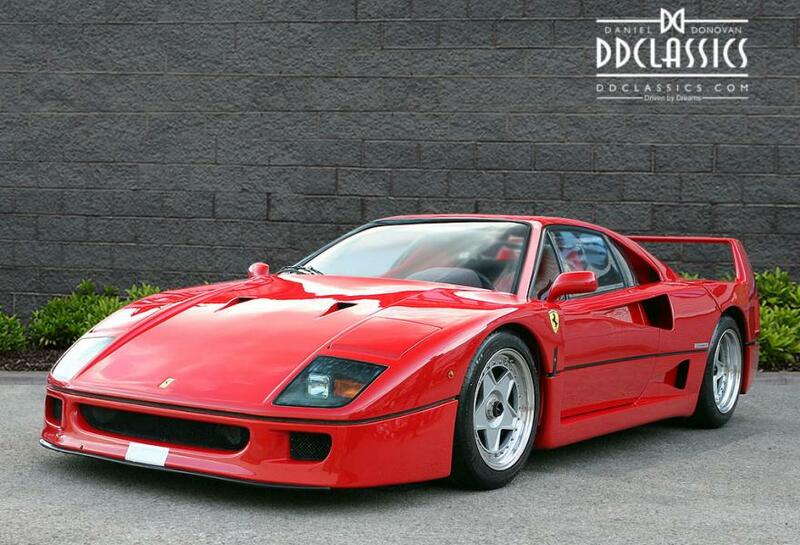 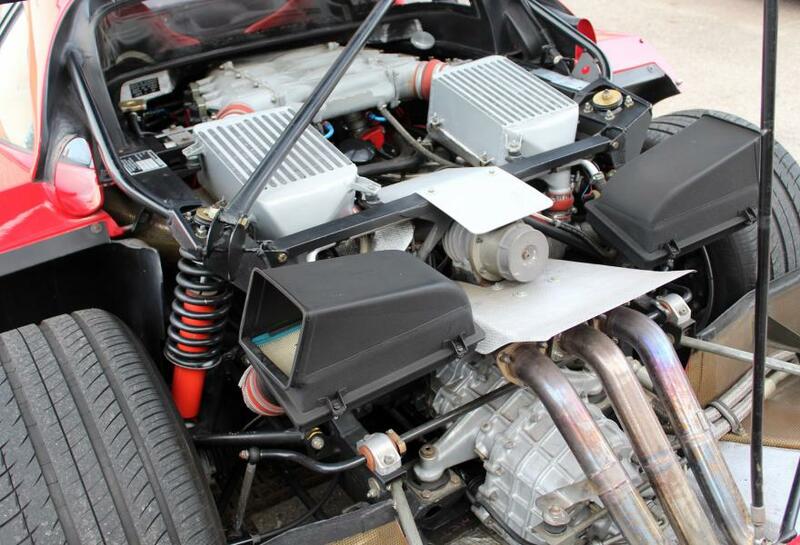 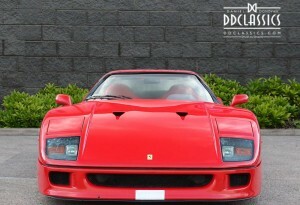 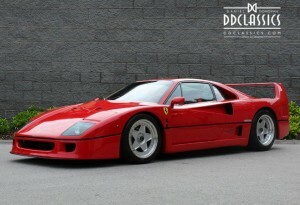 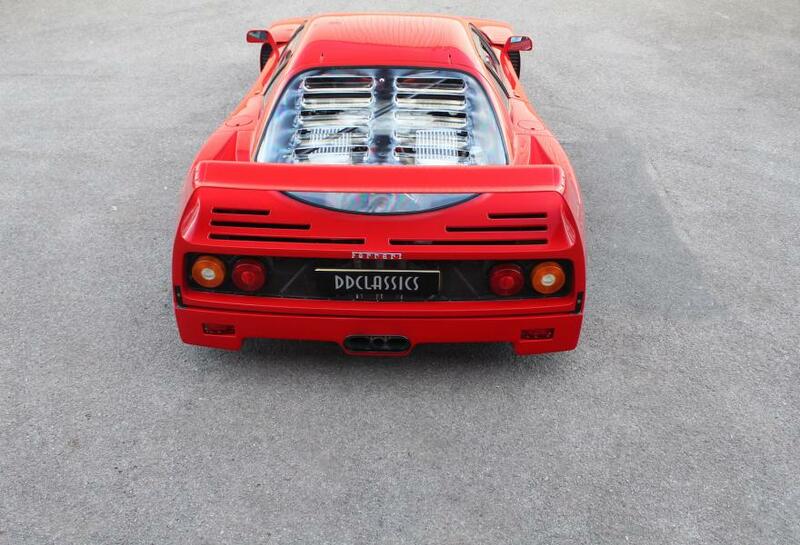 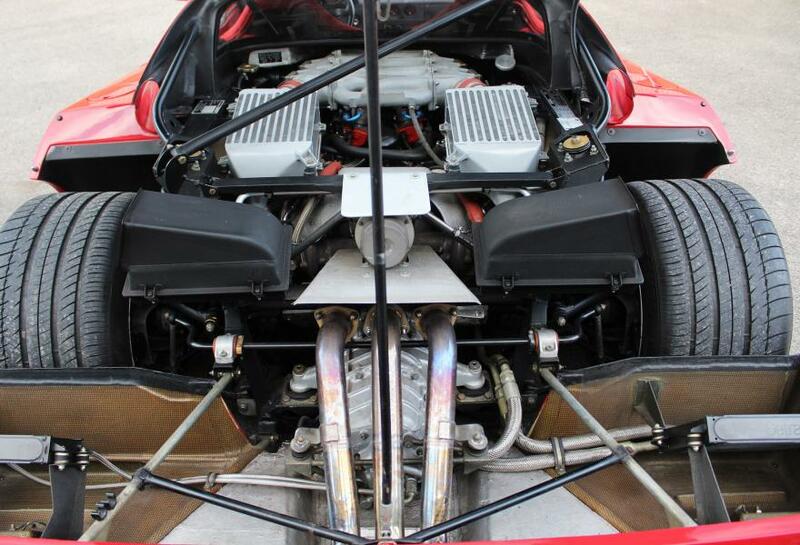 It is one of the ultra-desirable first so-called ‘non-cat, non-adjust’ examples of the European-spec F40. 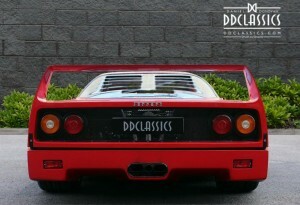 It was delivered when new to its first custodian, Christian Philippsen, president of the French Ferrari Owners Club, by Pozzi of Lyon, France, on 16 September 1989. The car has been meticulously maintained throughout its life and has travelled a mere 24,000 miles in that time. 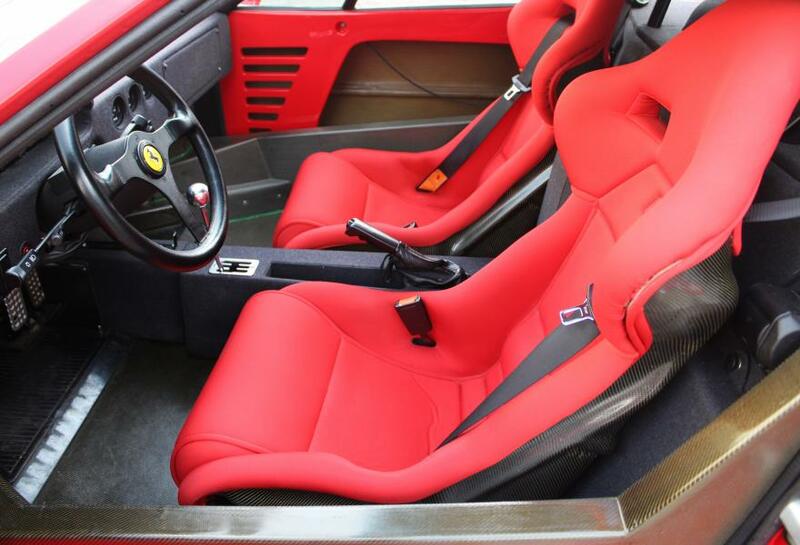 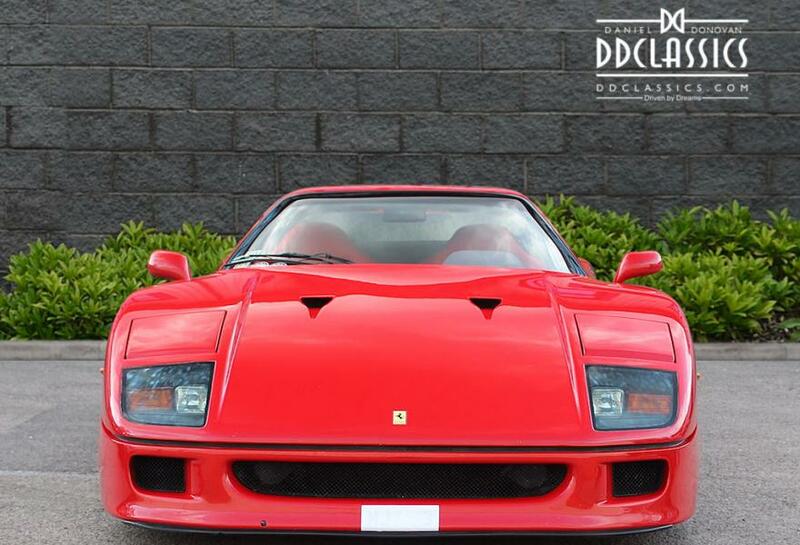 Presented in the legendary Rosso Corsa, with red lightweight bucket seats and the iconic gated Ferrari shifter, our car is in wonderful condition throughout and is ready for spirited action on the track, the street and would be an essential addition for any discerning collector. It has recently been serviced by. 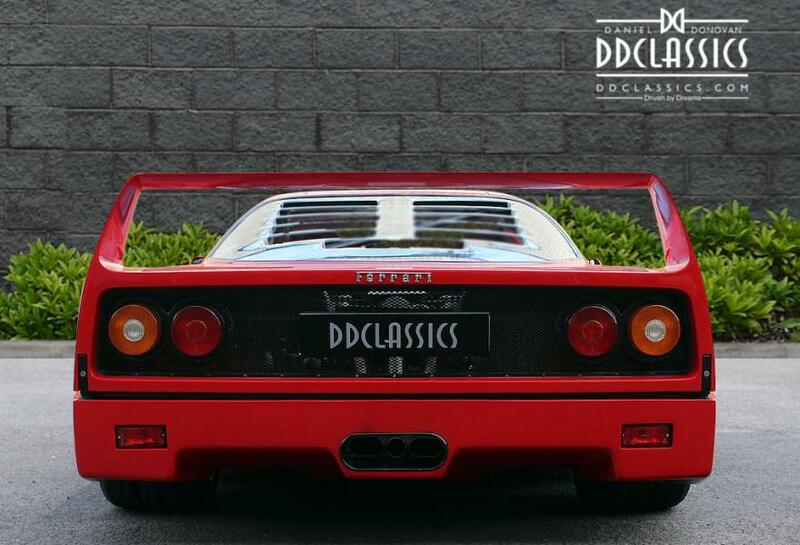 Accompanying our F40 is the Ferrari Classiche binder, leather wallet and original books, numerous service invoices and a fuel cell certification valid until 27 February 2020.